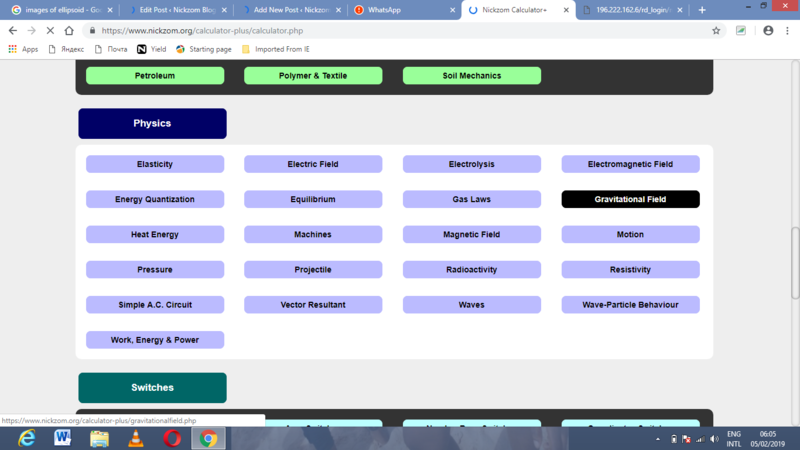 Nickzom Calculator – The Calculator Encyclopedia is capable of calculating the gravitational potential. 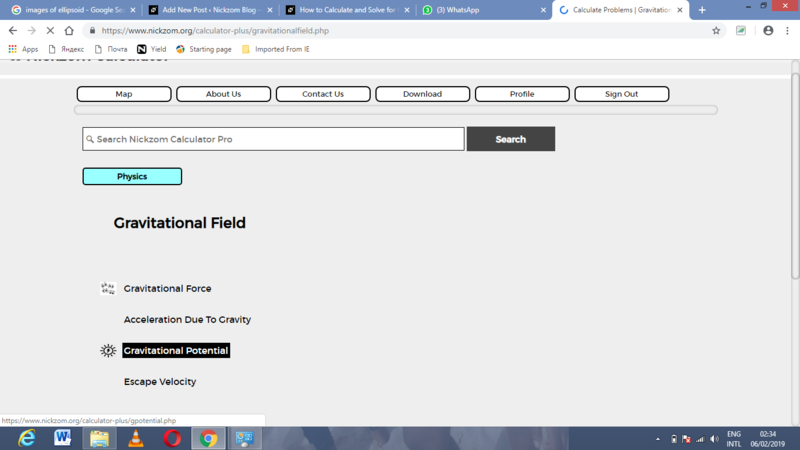 To get the answer and workings of the gravitational potential using the Nickzom Calculator – The Calculator Encyclopedia. First, you need to obtain the app. 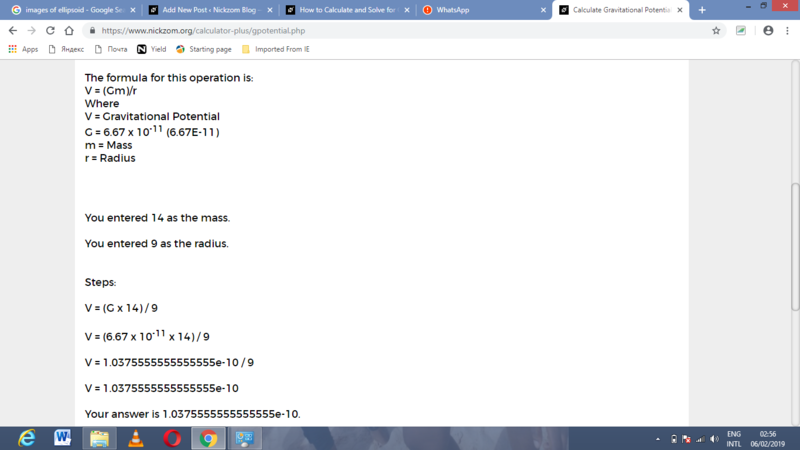 The screenshot below displays the page or activity to enter your values, to get the answer for the gravitational potential according to the respective parameters which are the mass (m) and radius (r). 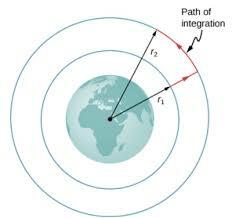 Now, enter the values appropriately and accordingly for the parameters as required by the example above where the mass (m) is 14 cm and radius (r) is 9 cm. 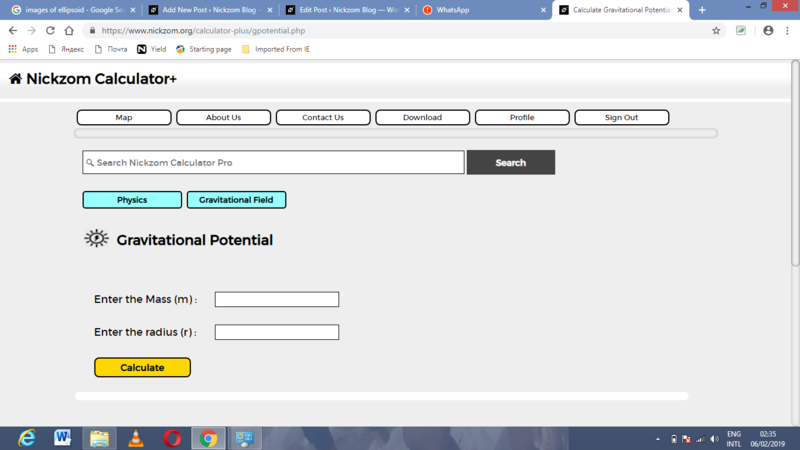 As you can see from the screenshot above, Nickzom Calculator – The Calculator Encyclopedia solves for the gravitational potential and presents the formula, workings and steps too.